Kenya is a country whose residents are thirsty for quality education. A number of institutions of higher learning have strategically positioned themselves to serve this need. The country has a total of 48 universities. Among them, 22 are government-funded (Public universities), 14 are Chartered Private universities in addition to 12 universities that operate with a Letter of Interim Authority (LIA). The criterion for picking the best universities includes an online presence, research, publishing as well as authority to rank among the best universities in Africa as well as across the world. Founded as the Royal Technical College, in 1956, the University of Nairobi remained the only institution of higher learning in Kenya to a certain extent for a long time. Nairobi is the lasted university in Kenya. The university has a record of producing the best professionals in their fields of expertise. The proof is in the numerous achievements in research, teaching, along with development. The second lasted university in Kenya, Kenyatta University was established in 1965. In the present day, the university is positioned in Nairobi. The institution boasts of the highest achievement in the midst of the learning delight of Kenya. 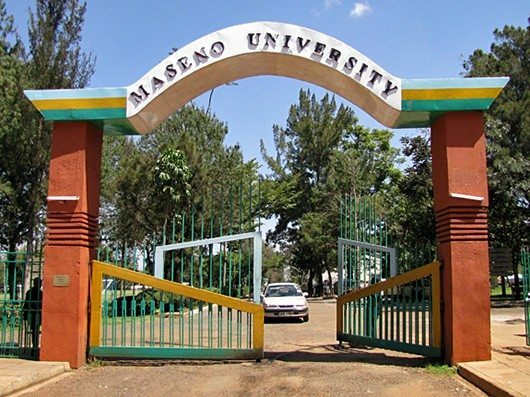 Founded in 1991, Maseno University is located in Maseno, Kenya. This public university was endorsed to be a fully fledged university in the year 2000. Maseno has a respectable web presence in addition to research interests. Established in 1981, Jomo Kenyatta University of Agriculture and Technology (JKUAT) was initially a Middle-Level College. In 1994, the University full inaugurated through the JKUAT Act. With a strong research interest in the areas of biotechnology and engineering, the University offers courses in Science, Building Sciences, Engineering, as well as Architecture. The University was initially established in 1961 as an Advanced-level Sixth Form College. At inception, a faction of professionals taught Science plus Arts subjects. With an outstanding attention and triumph in commerce as well as information technology Strathmore University is a leading non-profit private university in Kenya. Strathmore holds an unrivaled standing for quality in both academic and professional education as well as personal development. The institution boasts of the best web presence amongst all universities in Kenya. A premier Agricultural public University in Kenya, Egerton University was established in 1939. In its inception, the university was meant to train white European youth careers in agriculture. Later, the institution expanded into other areas of research and teaching. Some are; IT, engineering, education, medical sciences as well as commerce. Primarily launched in 1997 as a World Bank project in Washington, The African Virtual University (AVU) is an African Intergovernmental Organization. 15 government charters constitute it making. These countries include Kenya, Tanzania, Benin, Ghana, DRC Congo, Niger, Mali, Burkina Faso, Sudan, South Sudan, Guinea, Mozambique, Cote d’Ivoire as well as Mauritania. In 2003, the University headquarters was moved to Kenya. AVU directive is to extensively augment access to excellent higher education as well as training via the inventive use of ICT. Established in 1984 by the Moi University Act of Parliament, Moi University is a government university located in Eldoret. The University boasts of excellent work and learning setting. Initially founded in Bulawayo, Zimbabwe, however, the institution later relocated to Kenya following the civil unrest. Daystar University was in 1975 incorporated as a non-profit organization. The University is renowned for its remarkable contemporary facilities as well as a dynamic approach to teaching in addition to research. Sitting on a 300 acres piece of land, Daystar is home to thousands of local as well as international students. As a private chartered institution of higher learning, The University of Eastern Africa Baraton was established by the Seventh-day Adventist. The main campus is at Baraton, Nandi County. The University aims at providing education that is Christian anchored. The institution prides itself in providing the students who study at Baraton the full personal transformation. The skills imparted to learners at Baraton are geared to a dedicated service to good as well as service to mankind. These are amazing universities that have made huge strides to give nothing but quality education. Most of the renowned Kenyan personalities have built their foundations in these institutions. They make Kenya rank among the best countries in Africa that offer quality higher education.